Hall in the Men's 180 pound final. 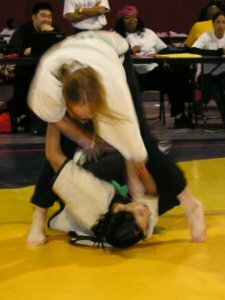 Court 5, in Larkins Hall at the Ohio State University, has been the venue for over twenty years of Shuai Chiao Kungfu Tournaments. This Summer the historic building will be demolished to make way for the new PAES building. 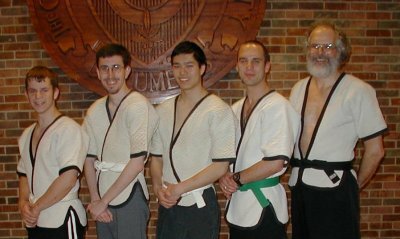 The OSU Shuai Chiao Kungfu Club was founded in the early eighties by Dr. Daniel (Chi-hsiu) Weng while he was completing his graduate studies at OSU. Over the years dozens of tournaments and hundreds of Shuai Chiao classes have taken place in the cavernous Court 5 area, with its ample spectator gallery and wall-to-wall mats. We are looking forward continuing our tradition in the exciting new RPAC facility soon to be opening. 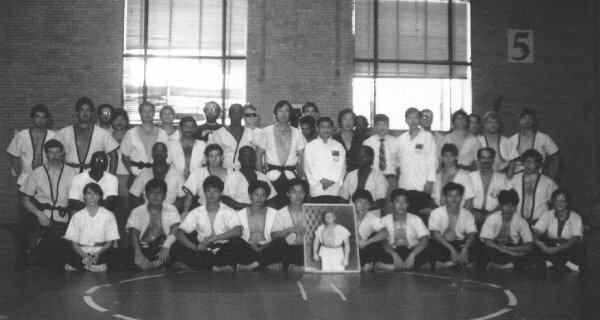 These Rooster Tournament officials all competed in the first Chang Tung Sheng Memorial in 1986. 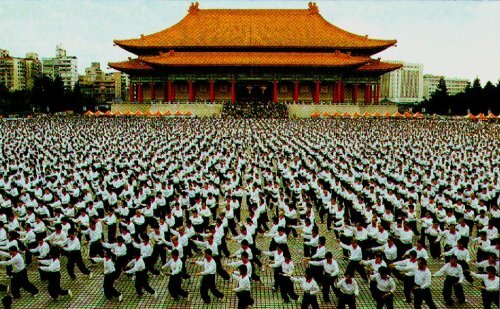 New World Record Set for Tai Chi Performance photo: Sports Illustrated Over 14,600 martial artists set a new world record for group performance of Tai Chi in Taipei, Taiwan, November 2003. 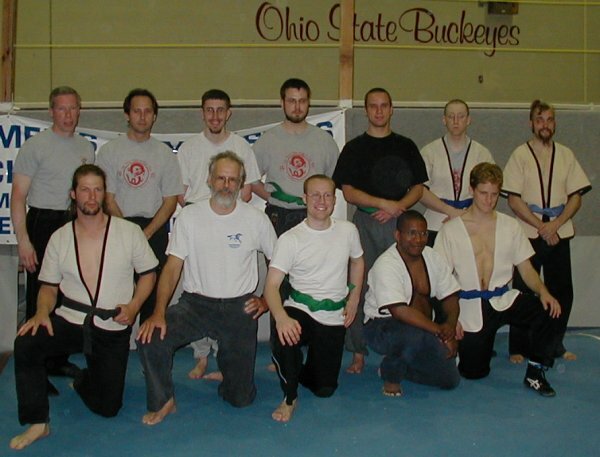 What's New for the OSU Shuai Chiao Kungfu Club? 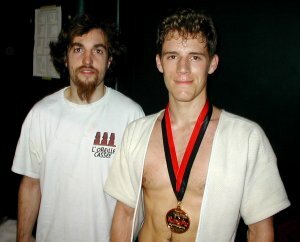 Johnathan Spuhler, Kevin Gordon, Daniel Beck. 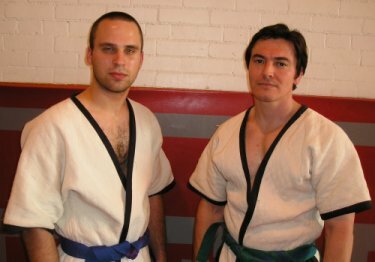 Jeff Williams and Raymond Trepanier discuss their observations after the belt test. tied for 4th place in his first national tournament. 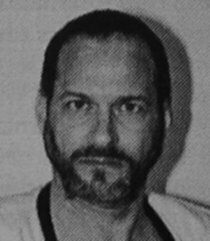 Clarence L. "Rocky" Byars Jr.
Sifu Rocky Byars passed away suddenly on November 5th, 2001. 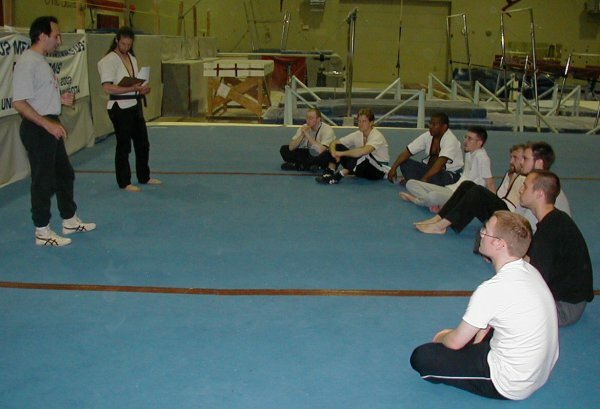 A senior instructor and national officer in the United States Shuai Chiao Association, Sifu Byars will be missed by all who knew him. His steadfast loyalty and constant support of Dr. Chi-hsiu Weng helped make the USSA the organization it is today. 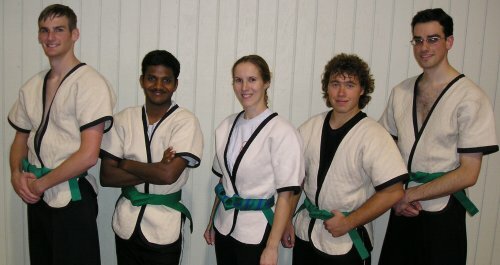 He leaves a legacy of many students of Shuai Chiao in Georgia, Florida, and Ohio. 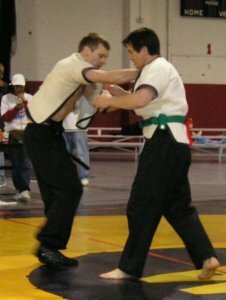 The OSU Club directly benefited from his experience and knowledge, especially when he directed our Spring belt test last year. Our respect and sympathy go out to his immediate and extended Shuai Chiao family.